Certain trends tend to swing in and out of the fashion scene, and depending on what trend it is some of us are very thankful they do! Either we sigh in relief “So glad (__insert trend here__) is finally out of style. Sigh, we better not see it trending anytime soon!”, or we beam excitement “I’m so glad this is trending again! I can finally wear my favorite (__insert trend here__) shamelessly!” So needless to say a trend as flashy as sequins is either going to stir up a snarl or sparkle in you! With fall now transitioning into winter, the holiday season is close at hand! As you know the holidays are full of wondrous celebrations, occasions and events that call for show stopping or simply wonderful outfits. So it’s a blessing the sequins are trending this winter, perfect for those holiday parties and special soirees! Dresses, skirts, blazers and tights are adorned with sequins that come in many colours and sizes this season! Whether you want to hear it or not, most people will choose the easy way out and go for a clean cut sequin dress. Why? It’s easy and looks great! There’s nothing wrong with a sequin dress, and if you decide to take that route, stick to styles that are cut with clean lines and shapes that add sophistication to the dress. Try out different colours and dress lengths for a more flirty or seductive take. 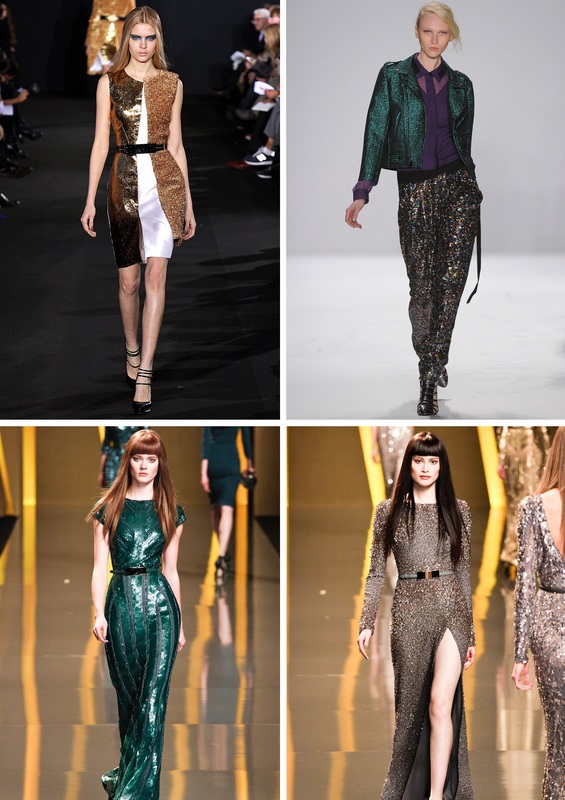 Now if you decide to go for separates, definitely pick up a pair of sequined tights or pants! Not only are they interesting, you can dress them up or down, which is a tremendous bonus since sequins sometimes read more formal! Blazers with sequin detailing are also super trendy now; it’s just enough dazzle to uplift your outfit! If you want to incorporate sequin into your look while being able to jump in and out of the formal scene, then sequined separates are a good choice! So whether you’re heading uptown or downtown seek out a sassy sequined look, with all the options you have, you’ll be sure to have fun putting an outfit together and look good too!